How will E3 2017 work? I have seen a lot of websites that says from June 11th to 15th. Can someone explain why ft should we actually look game trailers? 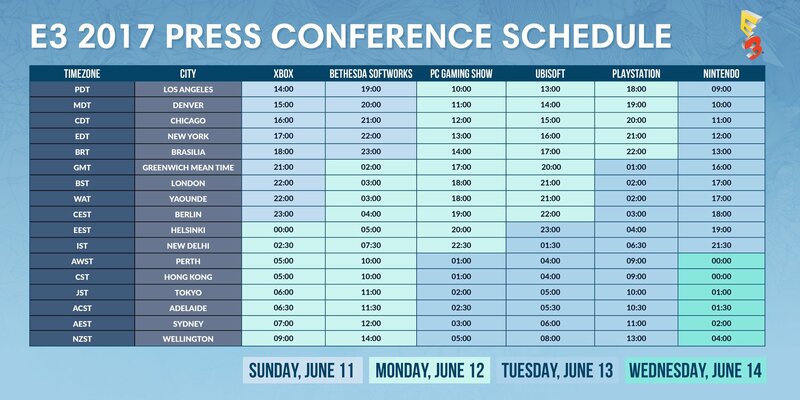 Video game publishers and developers hold press conferences from June 10-June 13 in order to make hardware and software announcements. That's when they reveal games, show trailers, and make another announcements. Websites like IGN, Gamespot, and Gameinformer post news and trailers during and immediately after the conferences. During the following days the press and fans can play demos and get additional presentations of games, and so that's when you'll see interviews and gameplay videos pop up. thanks man. Really appreciate it.